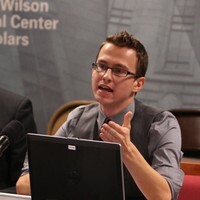 Jasmin Mujanović, PhD candidate at York University and a Visiting Scholar at the Harriman Institute at Columbia University. 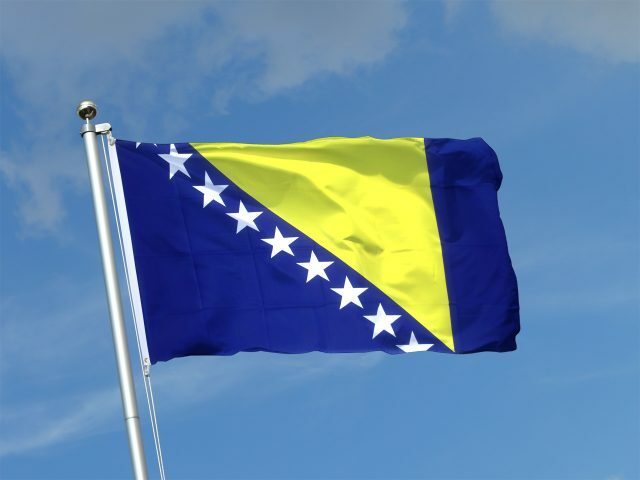 Nearly seven years after it was first signed, Bosnia-Herzegovina’s (BiH) Stabilization and Association Agreement (SAA) with the European Union (EU) is set to finally come into effect. 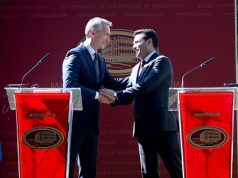 This major development comes in the wake of a new Anglo-German initiative in BiH, a proverbial “last straw” offered by London and Berlin to the political establishment in Sarajevo to reboot the country’s stalled Euro-Atlantic integration process. BiH’s elites have responded with uncharacteristic haste, as a mere [sic] six months after the October 2014 elections, the country appears to have governments in place at both the state level and in the Republika Srpska (RS) and Federation entities. To call these developments “progress” might be too optimistic but it is movement and after nearly ten years of complete political deadlock, BiH is in desperate need of movement of any sort. If BiH is to make actual progress, however, sooner or later both the country’s citizens and the international community, which still wields considerable influence over the state, will have to confront certain unavoidable truths. Otherwise, BiH’s current (potential) movement may go the way of the previous decade: time forever lost. BiH cannot join the EU or NATO with its current constitution. This is the cardinal fact of all future reforms in BiH. A country of less than four million people cannot support fourteen different governments operating on its territory. It cannot support every third employed person working in the public administration—while 40% of the population does not work at all. An EU member state cannot bar its own citizens, in favour of so-called “constitutive peoples,” from serving on the country’s presidency, among other official bodies, nor can it tolerate segregated schools. The NATO alliance cannot abide a member whose security policy-making capabilities are internally fractured and compromised by anti-European elements. BiH, as defined by the Dayton constitutional order, is simply not capable of being a “dues paying” member of either organization. And both the EU and NATO would compromise their own internal cohesion and effectiveness by allowing the country to join before major constitutional reforms are enacted. Accordingly, insomuch as BiH’s Euro-Atlantic integration remains a policy priority for Washington and Brussels—and it should, as BiH is the key to stability in the whole of the Western Balkans—both organizations must make clear what constitutes an acceptable constitutional framework for BiH, from the perspective of the EU and NATO. This is not to say that BiH must immediately begin with the process of public and territorial administration reform—the current Anglo-German initiative has, for instance, sensibly back-loaded the already necessary Sejdić-Finci reforms. Nevertheless, the rationalization and stream-lining of the state apparatus, as well as the establishment of sensible regional, economic, and ecological administrative units in BiH is unavoidable and it is the responsibility of the EU and NATO to make this clear. BiH’s political leaders do not want EU or NATO membership. The EU’s enlargement policy has largely obscured the organization’s lack of a coherent foreign policy, a fact that has been exposed by the Union’s muddled response to Russia’s invasion of Ukraine. But the EU’s incoherent and lackadaisical approach to its own security has long been evident in BiH. Here a crop of small-time political hustlers has not only been allowed to completely derail the country’s integration into the European state system more broadly but men like Milorad Dodik now conspire openly with Europe’s enemies in the heart of the continent’s soft underbelly. But we should not, however, forget the role of the HDZ and the SDA in transforming BiH into a den of organized crime. Backed by Zagreb, the HDZ has transformed its Herzegovina electoral heartland into a para-state within BiH, while the SDA has spent more than two decades plundering whatever public coffers it could get its hands on. The dominant EU policy approach in BiH has been defined by appeasement; wanting to finally “pacify” the country, European leaders have accepted promissory notes from the local political establishment for nearly two decades. It is time to realize, however, that almost all of the required EU political, economic, and social reforms in BiH would result in the ouster from power, and likely imprisonment, of the very people carrying through the reforms, as it did in Croatia. As a result, and as should be clear from the past decade at least, few if any major political actors in BiH have any intention to surrender themselves in such a manner. After all, recall that in BiH, as in Serbia, there has been virtually no turn-over in the country’s political leadership roster. And given that these are essentially the same people who in the 1990s opted for war rather than democratic reform, it is absurd to expect any change in their behaviour now. Belgrade and Zagreb remain obstacles not allies to BiH’s Euro-Atlantic integration. Unfortunately, revanchist elements in both Belgrade and Zagreb appear committed to achieving certain “historic” objectives in BiH that belong instead in the region’s bloody dustbin. The EU should take note and determine its regional policy on the basis of genuine European interests, rather than the ambitions of one particular member state. After all, Zagreb has been entirely correct to reprimand Serbia over its meddling in the affairs of the Serb community in Croatia. Moreover, Croatia was entirely correct to protest Slovenia’s “soft” threats to its then still tentative EU membership. Accordingly, Zagreb should distance itself from the Croats in BiH and the leaders of both Croatia and Serbia should cease immediately the policy of quasi-official visits to Mostar and Banja Luka in place of the country’s capital, Sarajevo. In short, both Serbia and Croatia need to recognize that in 21st century Europe, BiH’s sovereignty, much as their own, is not contingent on the approval of neighboring states, no matter how upsetting this fact may be to certain nationalist elements domestically. Beyond constitutional reform, BiH is still in need of substantive democratization. Finally, while there are no “magic bullets” in BiH, a “democratic turn” in international policy towards the country is nevertheless the most important element of any future BiH policy for Brussels and Washington. Only a genuinely democratic BiH will be functional and only a functional BiH will be able to protect and uphold the rights of all of its citizens, regardless of their ethnicity, gender, sexuality or any other identity. Moreover, and as noted, only a democratic, functional, and sovereign BiH can provide lasting regional stability. A BiH that remains a prize to be won by Serbia or Croatia will only further distance the whole of the Western Balkans from a future where such provincial bloodletting, as characterized the last decade of the last century, will be unconscionable. This means that the EU and the US must identify and establish contacts with new stakeholders in BiH. Given the deep-seated duplicity of BiH’s political establishment, this new approach must be founded on two principles: strengthening democratic institutions and empowering citizens. In this respect, the refusal of the new High Representative of the Union for Foreign Affairs and Security Policy, Federica Mogherini, to continue Catherine Ashton and Štefan Füle’s bizarre and destructive policy of meeting BiH’s party leaders, rather than parliamentary representatives, in hotels and backrooms, rather than official institutions, for secret talks, rather than transparent and documented negotiations, is to be commended. Nevertheless, much work remains to be done by the EU and US in identifying genuine reformist elements within the political establishment of BiH. Accordingly, the current ruling grand coalition of the SDA, DF, HDZ, and Alliance for Change should be pressed to frankly conduct the affairs of state according to the principle of ministerial responsibility. Already we have seen that the new governments(s), at all levels, will be staffed by largely the same ministers as the previous administration(s). This is unacceptable, especially given the country’s dire economic and social straits, and BiH’s European partners must make it clear that EU candidate and member states are expected to exhibit a commitment to genuine democratic accountability. This, of course, must also be reflected in the process of constitutional reform but it can and must begin with immediate changes to the existing conduct of parliamentary politics. More broadly, however, both the EU and the citizens of BiH must expand their idea of democracy. Despite their brief tenure, the protest and plenum movement from February 2014 was an eminently positive development from the perspective of BiH’s democratic maturation. It is, after all, the responsibility of democratic citizens to keep their elected officials accountable. Elections are the primary mechanism for accomplishing as much in most representative democracies but as BiH’s representative institutions are hobbled by unworkable ethnic vetoes and quotas this has proven difficult, if not impossible. For instance, the HDZ routinely secures barely 12% of the vote but ends up with, at least, a third of all ministerial posts at both the state and Federation level and, like their allies in the SNSD, has used this power only to obstruct BiH’s Euro-Atlantic integration process. Thus, “minimalist” accounts which hold that BiH’s reform is (only) possible through electoral politics fundamentally mischaracterize the plight of democratic possibilities in the country. As such, in order to establish a democratic regime more akin to the ones found in Western Europe, including preferred comparative cases like Switzerland and Belgium, BiH’s citizens, politicians, and international partners must allow for and pursue a similar political and social trajectory. As the esteemed political scientist James C. Scott notes, one would be hard pressed to identify a single genuine democracy in the world that did not go through “episodes of civil disobedience, riot, lawbreaking, the disruption of public order, and, at the limit, civil war. Such tumult not only accompanied dramatic political changes but was often absolutely instrumental in bringing them about.” Fortunately, BiH has already had its fill of war for a few centuries, so it remains only for the country’s citizens to recognize their own responsibility in forcing their elites to respond to their demands. The plenums were a brilliant articulation of the potential for popular government but much remains to be done and more frequently as well. Institutionally, for instance, efforts should be made to replicate the policy of participatory budgeting that has proven capable of politically and economically empowering marginalized communities in polities much larger (and poorer) than BiH. Relatedly, academic and policy community efforts, which have as their aim the “reconceptualization” of policy options in BiH, as the recent NATO-sponsored conference at Oxford University, should actually involve people from BiH, especially those who still live there. There are young, educated, and eloquent women and men from Tuzla, Mostar, Banja Luka, Prijedor, and Sarajevo whose perspectives and policy recommendations the international community would do well to, at least, include in their debates on BiH. Above all, however, remains the responsibility of ordinary Bosnians and Herzegovinians themselves to be involved and to intervene in the politics of their country. In the end, there are neither substitutes nor any foreign solutions available to one’s own agency in their own affairs. The electoral system is unduly skewed towards ethno-nationalist parties in BiH but this does not negate the importance of citizens still supporting civic and reformist parties at the polls. Nor does electoral participation absolve citizens of their responsibility to participate in extra-parliamentary forms of protest, whenever necessary. Both are and will remain required if BiH is to have any realistic chance of substantive democratic reform. 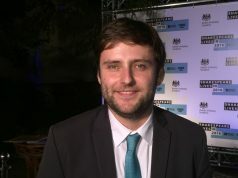 Jasmin Mujanović is a PhD candidate at York University and a Visiting Scholar at the Harriman Institute at Columbia University. His Twitter handle is @JasminMuj.